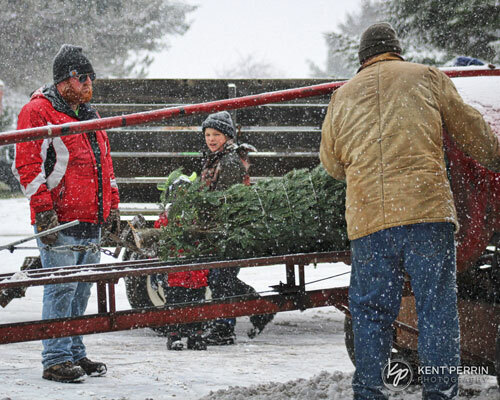 Wagon rides to and from getting your tree. Hand saws are available for use. We will be happy to cut your tree for you, just ask! We will shake your tree once it is cut to eliminate old needles. We can assist you in fastening your tree to your vehicle. Bon fire warming is always welcomed and encouraged! 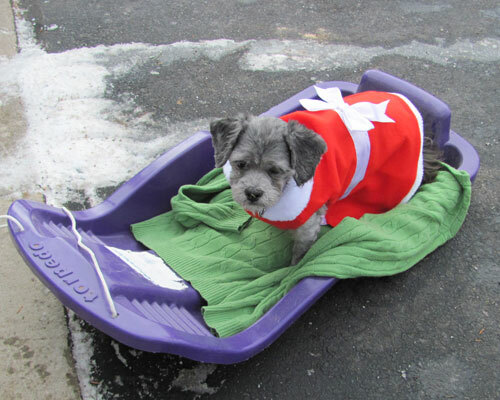 We can put you in touch with local people who will trim and decorate your tree. 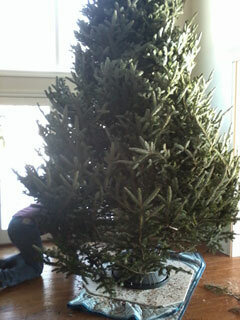 We offer delivery and set up of your tree. We can bale your tree for easy transport. 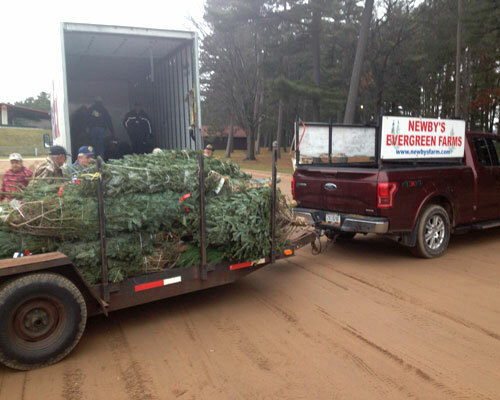 We donate trees to Trees For Troops as well as collect other trees being donated by other wholesalers and then load them onto the Fed Ex truck. 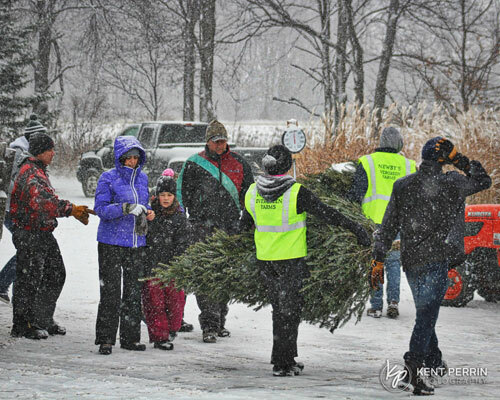 Trees for Troops, a program of the Christmas SPIRIT Foundation, provides free, farm-grown Christmas Trees to United States armed forces members in all branches of the military and their families, through donations, sponsorships, grants and the work of many volunteers. If you would like to support Trees for Troops, you can either click here or you can provide a tree for a military family by donating $20 at our farm. $5 of your donation will go directly to the Spirit Foundation and we will ship an additional tree along with our donated trees. You must order the tree before Thanksgiving. We can assist you with fastening your tree to your vehicle. 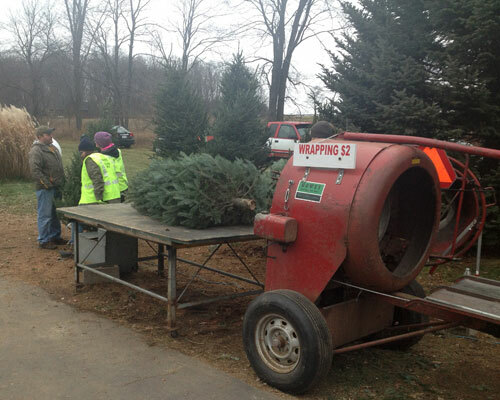 Newby’s Farms donates trees to Trees For Troops.